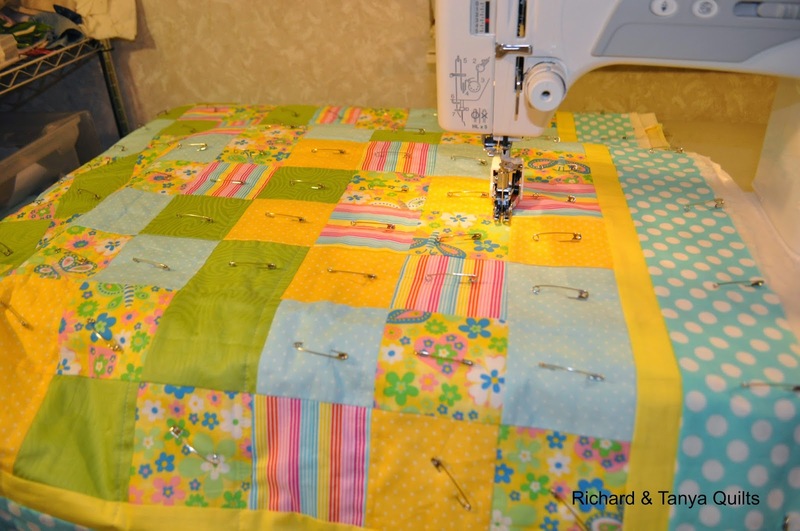 Welcome back to my "Whats on the Quilting Table" this is my 2nd post in this series. The plan for this is to take pictures as I am quilting and share the works in progress. I have sadly got over whelmed in the past sharing the finishes and well I never talk about the stuff in the middle and while I want to share my process. 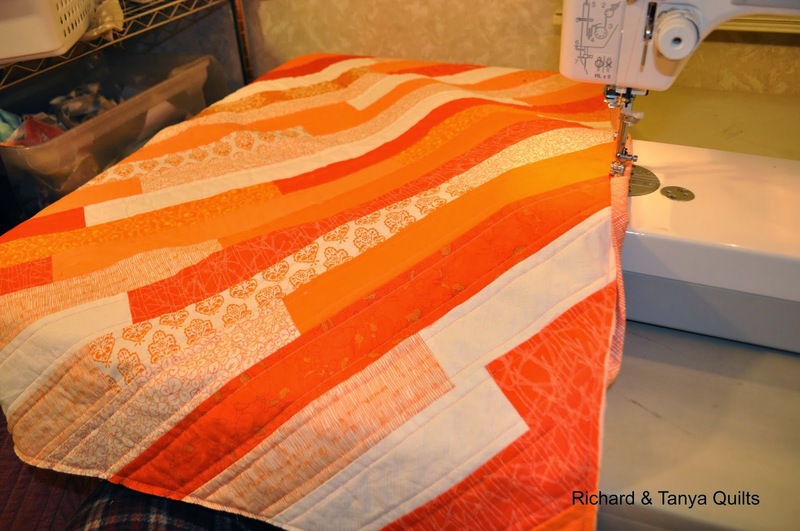 Today I start with my Orange Diagonal quilt. This quilt was made last year some time at least 4-5 months ago. I finished it and it was while not strait the top was 3 inches wider the the bottom and the sides were wall out of whack too. For a long time I could not decide how I was going to fix it. I finally just folded it into 4ths and chopped the 2 sides off to be even with the opposite side. Any way Its now bound and will talk about it more when I post the finish. This simple squares quilt was made out of scraps that we had in the bin. It is a real exception for us. 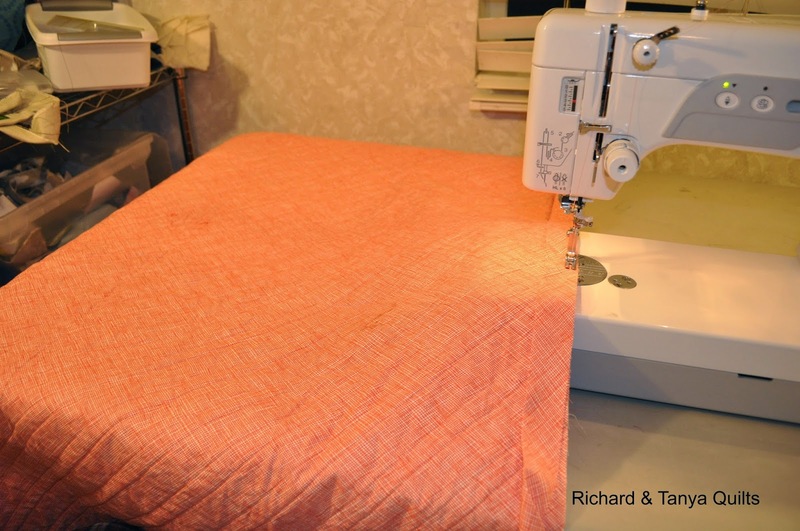 We have made few quilts that were not planed meaning we bought the material specifically to make the quilt. As our stash is HUGE we need to make this year many more stash busting quilts. Only the outer borders were specifically bought for this quit. What is your favorite pattern to use up your left over stash? 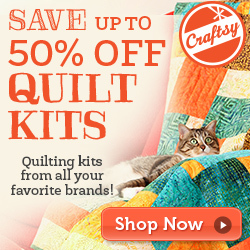 This pattern we call simple squares and we sell it on our Crafty store. If you would like a free copy of this pattern please follow the link and make a comment on the pattern telling me that you like it and then also put a comment on this post. If you have a pattern you have made or one you like that has a post about it some where on the web please link it in the notes I am always on the hunt for cute and fun ideas for go to quilts. I don't have a favorite pattern. I usually just sew smaller pieces together "willy nilly" and then square it up when it is big enough to use as a block. 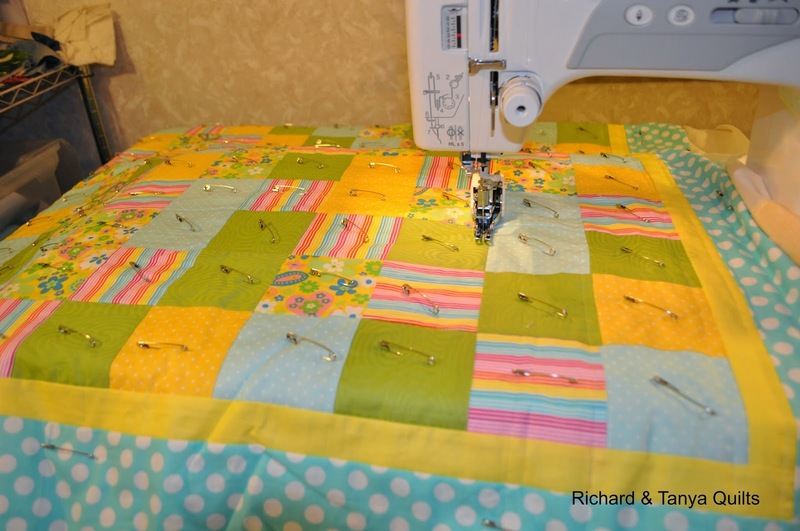 I make a lot of churn dash quilts from scraps because it takes 4" squares, a 3.5" square and some 2" x 3.5" rectangles. I like the block a lot in this 9" size. I have a tutorial January 2. It's a great scrap buster, and the blocks look good in any set. I do like simple squares. 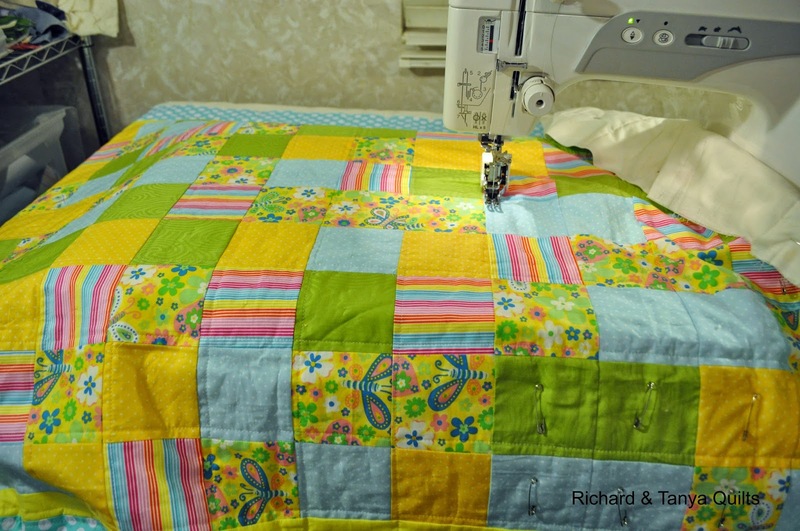 The one you were quilting looks so cheerful. The orange diagonals do, too.